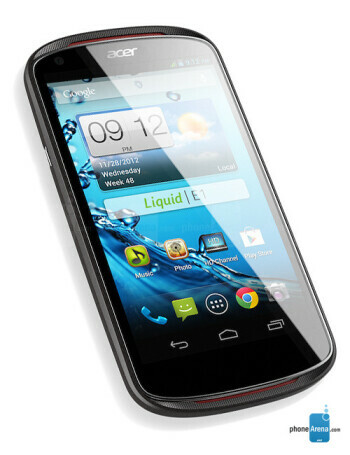 The Acer Liquid E1 sports a 4.5 inch screen. It comes with dual-core 1GHz processor and add 1GB of RAM and 4GB of native storage inside, a 5MP rear-facing camera and a .3MP front-facing shooter and have it all powered by a 1760mAh battery. Android 4.1.1 is pre-installed.